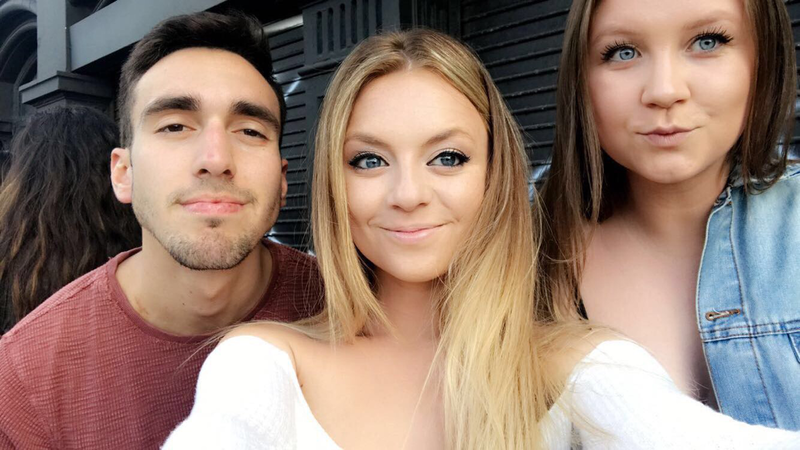 Luck of the Irish, Eh? So these last few days have been hectic, so I'm very sorry for taking a little to update my blog. We flew to Ireland from Berlin and from there we had long bus rides, ferry rides and train rides to all of our destinations. But I'm not going to fall behind on my writing and documenting my travels because it's extremely important to me to do this. When I blog, it's not just to keep my loved ones updated on my travels but also to continue practicing my passion for writing, especially about my travels. Dublin, Ireland was nothing short of amazing. The thing was, I was not expecting it to be. I honestly thought Dublin would be super touristy, resembling your average big time city in any given country. But boy was I wrong. 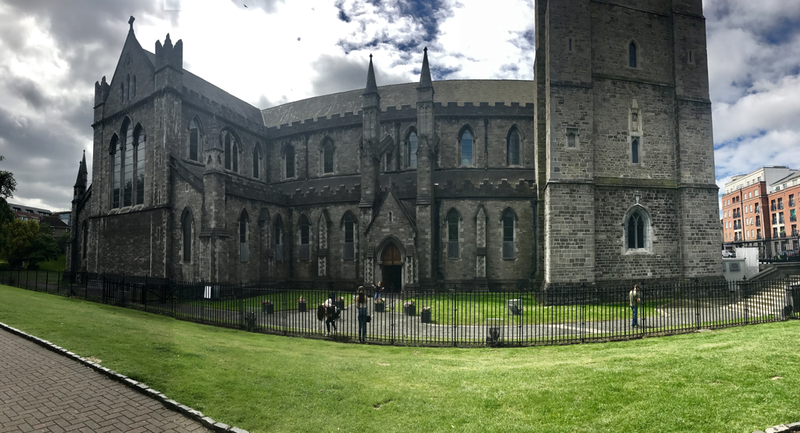 Dublin was a city filled with culture, amazing beer, friendly locals, live music and a great time. The people of Ireland are some of the most patriotic people I've ever met, believing so deeply in their country and being so prideful to live where they do. 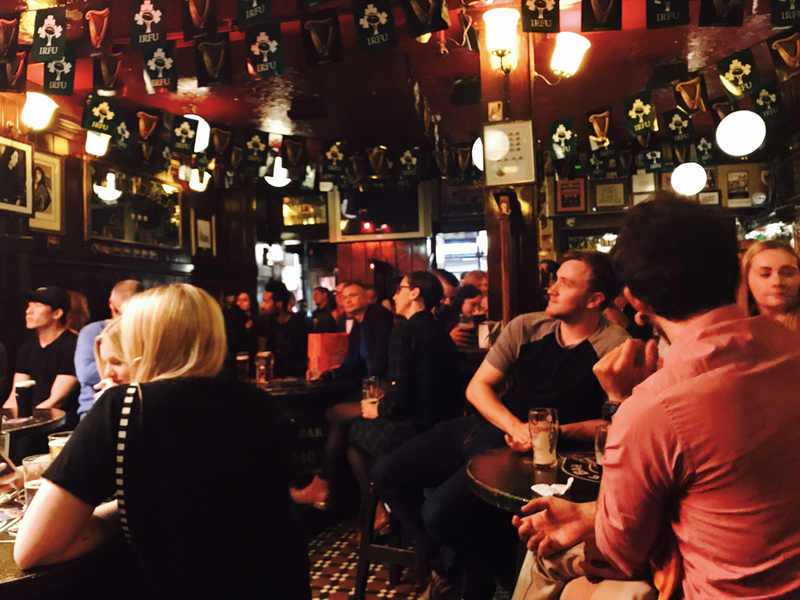 You would speak to any local and they'd say, "I could absolutely never leave Dublin," or "I love it here with all my heart." Being in a place like this really helps you to appreciate your surroundings and towards understanding why the locals are so passionate about where they come from. 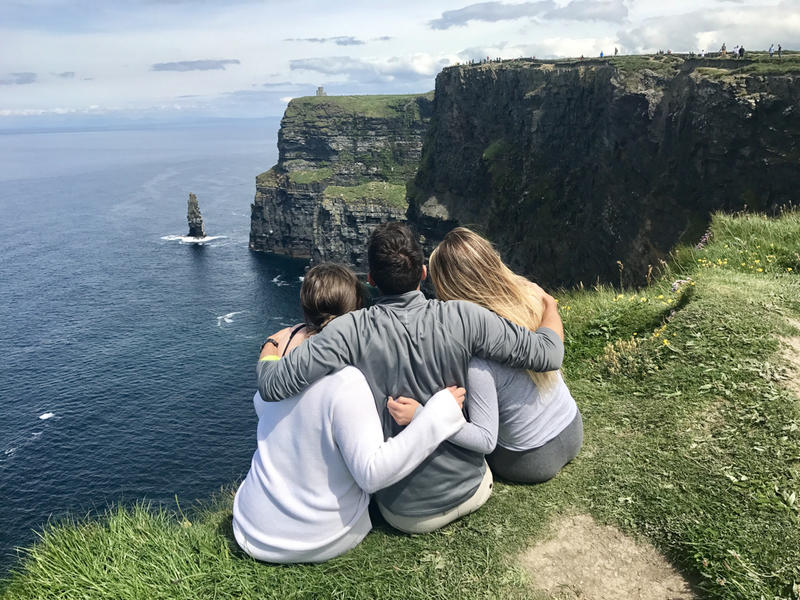 We spent 3 days in Dublin, and it was the perfect amount of time. We stayed at Generator hostel, which I would highly recommend. 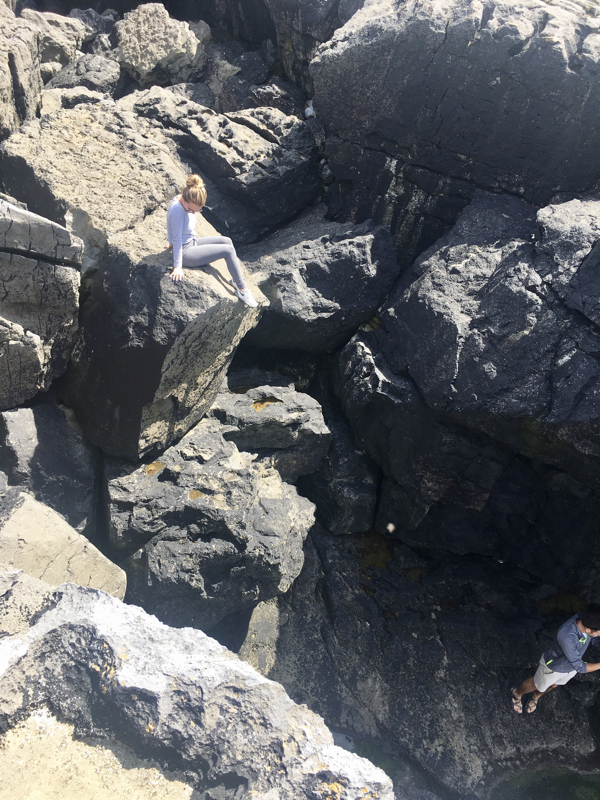 Our hostel was in walking distance of literally everything we wanted to do in Dublin. We were a 10 minute walk from the shopping district, and 10-15 minutes from the famous strip of bars and pubs of Dublin. Now let me tell you, this strip was unlike anything I've seen before. Lights hanging diagonally from pub to pub, filling the streets with a summertime ambience, Irish music circling the air and making its way in and out of every pub, and definitely beer. Lots and lots of beer. Some of my favorite bars we visited were Temple Bar, Quay's and The Brazen Head. 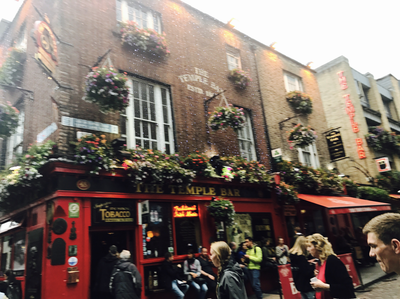 Temple Bar is a definite must-see in Dublin. Also the most touristy bar, but it's still rich with the Irish culture and atmosphere needed to experience in Dublin. We also visited the Guinness Factory, (an absolute MUST). 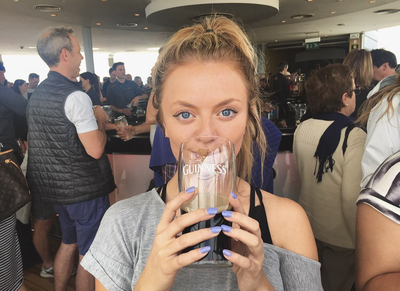 Now I'm not a huge beer lover, but Guinness is absolutely delicious. I'd had in the States before mixed in a Car Bomb shot on St. Patty's Day, but obviously, this blew that kind out of the water. 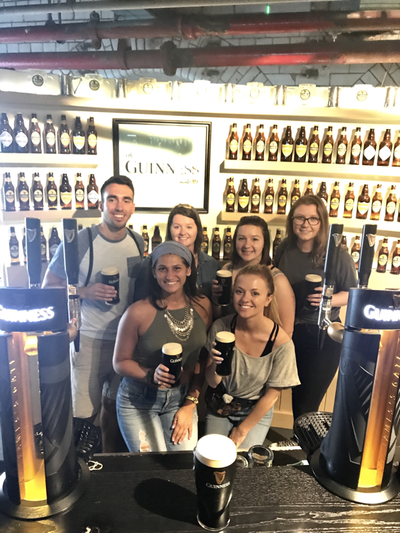 The cost includes a self-guided tour of the factory and the chance to pour and drink your own pint of Guinness. For free, which is the best part obviously. 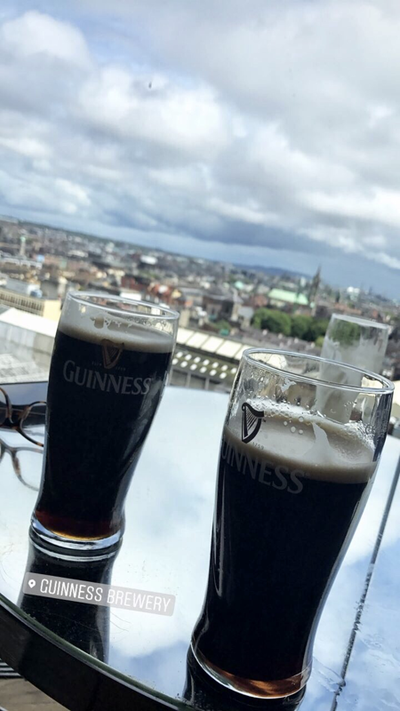 After this, you make your way up to the glass Gravity Bar to overlook the city of Dublin while enjoying the lasts of your Guinness pint. Visiting the Guinness factory has definitely been a highlight of this trip so far. 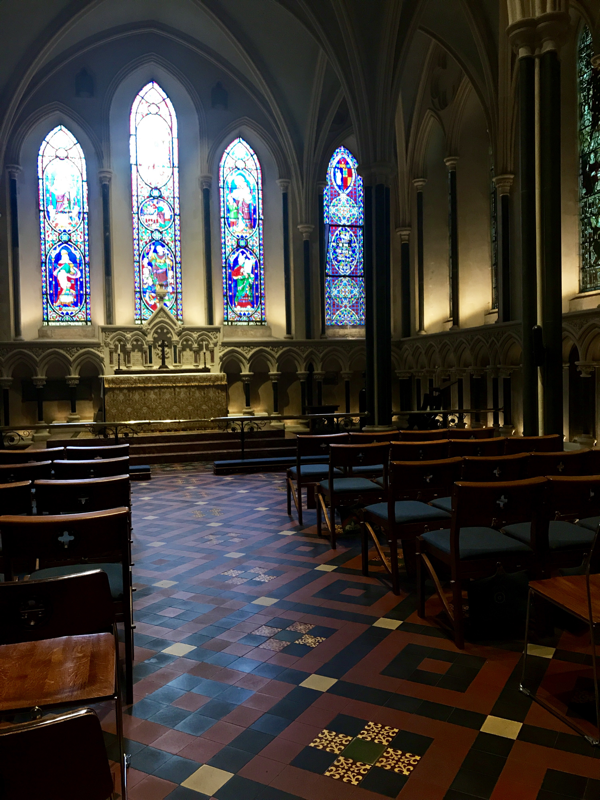 On this same day, we also visited St. Patrick's Cathedral. It was certainly beautiful, but if you're not super into cathedrals and/or architecture, I would wait to visit Italy and Spain's cathedrals. The following day, we had a free day to do whatever we wanted. 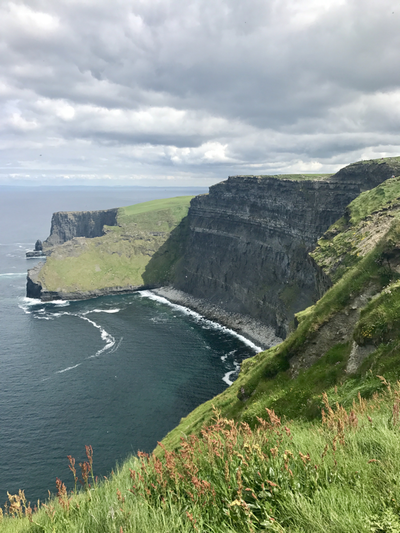 So we knew we had to visit the Cliffs of Moher on the other side of Ireland, about 3 hours away. 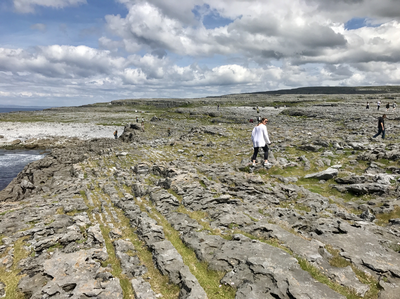 We booked a tour for £45 that lasted 12 hours, taking us to see the Cliffs and a few other locations, including Galway on the Western side of Ireland. A lot of people didn't want to do this because they say if you go to the Cliffs and there is bad weather, you won't be able to see anything so it's generally a risk you just have to take. Bad weather was on the forecast, but saying we got lucky is an understatement. 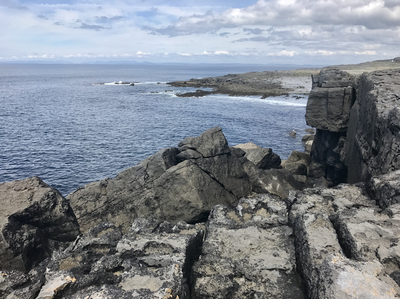 The sky was clear, the sun was shining and the Cliffs were standing tall above the teal blue water. It was literally unlike I'd ever seen before. Not gonna lie, it was a little terrifying since 24 people die on average per year from falling to their deaths. We were extra careful but took a full 2.5 hours here to explore all the beauty it had to offer. 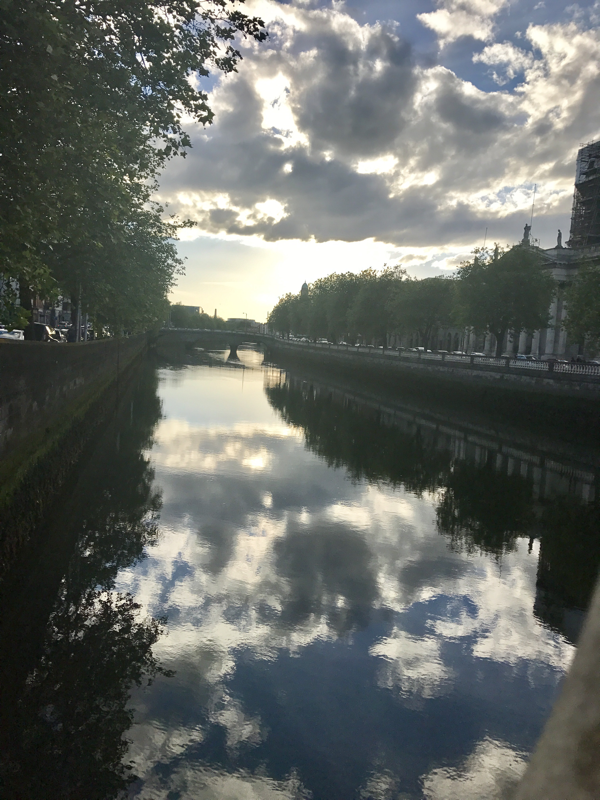 All in all, Dublin was definitely somewhere I would go to visit again, especially having experienced it like a local and feeling super comfortable and safe in the city. It was honestly even a place I could see myself living, and I don't say that too often. Although I did say that about where I am now; London. Yes, I was here during the London Bridge and Borough Market attacks last night, and yes I am safe, as is everyone else in my group. But that is a story I will post in my next blog coming soon. For now, please keep all of those affected by the London incidents in your prayers and thoughts, and pray for the safety of myself and all of those traveling and residing in Europe. All we can do is hope that these acts of hate and terror will end and that we can start to see peace and unity again sometime soon.